Written by Tanuja Desai Hidier & Atom Fellows. Produced by Dave Sharma. 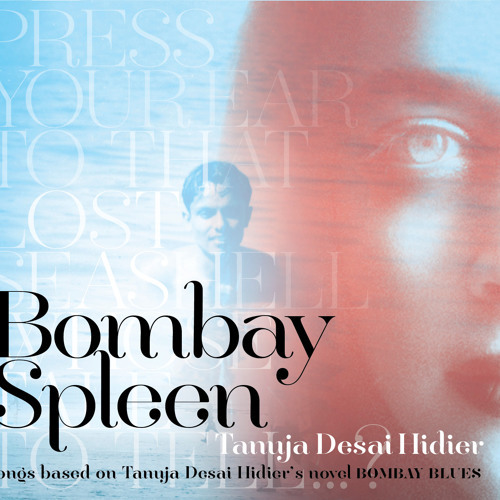 BOMBAY SPLEEN is author/singer-songwriter Tanuja Desai Hidier’s second album in her groundbreaking genre of the ‘booktrack’: Twelve tracks of infectious electro-dream-pop ‘wreckage rock’ based on Tanuja's novel BOMBAY BLUES, the sequel to her critically acclaimed literary debut, BORN CONFUSED. More info at www.ThisIsTanuja.com. Press/Bookings Contact: ABCreativeD@ThisIsTanuja.com.